Have you tried this new trick? A 50/50 blend of lean ground beef and mushrooms is the BEST secret to making your ground beef even leaner, tastier, super tender, and more nutritious. 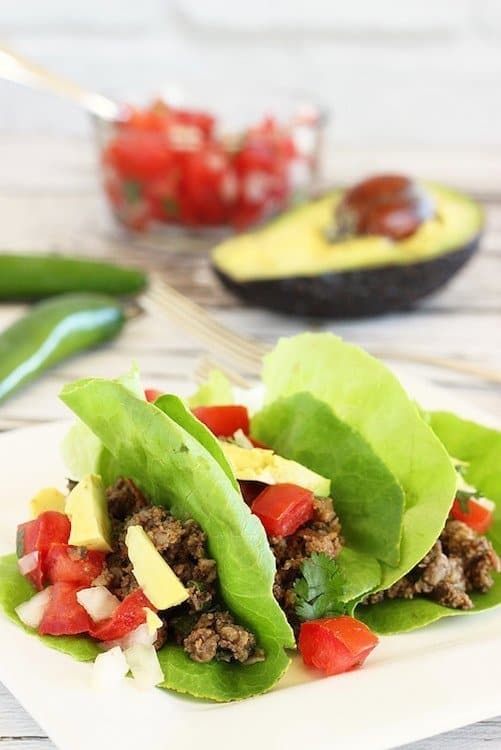 Try it in these lightened up Lean Ground Beef and Mushroom Lettuce-Wrap Tacos. You know what I just realized? In all the years I’ve been writing this blog and sharing my recipes, I’ve never, ever, posted a beef recipe. What the what?! I guess that’s probably because I don’t eat all a whole lot of beef. I don’t love the texture, and I find that it takes more recipe planning and cooking time than I care to commit to most days. And plant foods are much prettier to photograph, so they’re the thing I experiment with most. Well, lately, I HAVE been eating more lean, grass-fed beef. I’m finding that compared to conventional beef, I really like its taste and the texture. And call me crazy, but I’ve rediscovered the convenience and versatility of ground beef. I’ve avoided it for years because I’ve questioned the quality of conventional ground beef. I also think regular lean ground beef can be too dry and flavorless, but organic, grass-fed lean ground beef is a whole different animal (literally)! 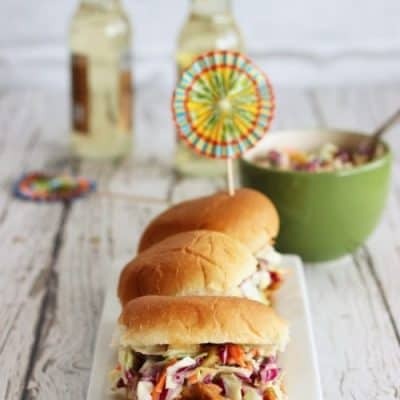 It’s so tender and flavorful, that it doesn’t need all that fat to make it delicious. It’s what beef should taste like. I also discovered, courtesy of the Mushroom Council, that blending lean, grass-fed beef with minced mushrooms is pure, total genius. Mushrooms already have a meaty texture and that amazing umami flavor, so of course, they’re the most perfect way to enhance the texture of really good ground meat. One of my many nutrition gigs is with Albertsons/Safeway supermarkets, and this month we’re partnering with the Mushroom Council to spread the word about the health and culinary benefits of “The Blend.” This is one of the recipes we’re using to show shoppers how making a 50/50 blend of lean ground beef and mushrooms (or any kind of ground meat plus mushrooms) is a genius way to cut back on meat, add more plants, and bump up the nutrients in your meal. And I’m happy to report that people are loving the whole idea. 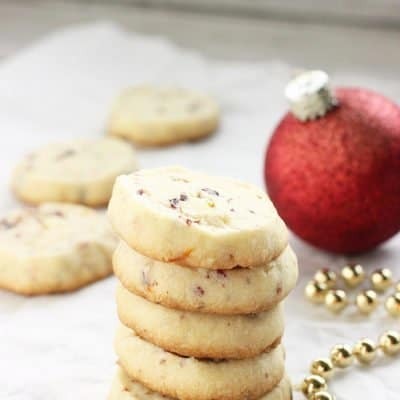 This post isn’t sponsored by them, but I just love the idea so much, I have to share! Even if you’re a mushroom hater (is there really such a person? ), you’ve gotta try this trick. You will be pleasantly surprised. It’s seriously the best idea. Ever. I love the rich flavor of mushrooms, but I also really love the fact that they provide lots of minerals, some vitamin D, and fiber. 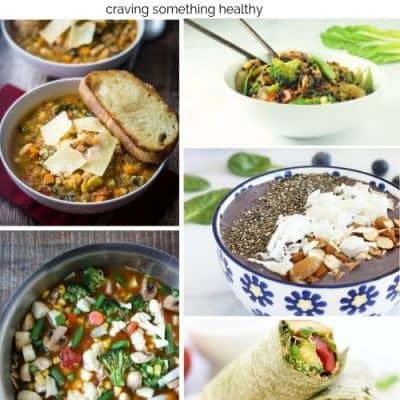 Combine them with the protein, iron, vitamins, and healthier fats that you’ll find in lean grass-fed beef, and you’ve got the most nutrient-dense meal ever! 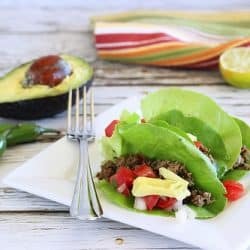 These Lean Ground Beef and Mushroom Lettuce-Wrap Tacos are a perfect way to try out that 50/50 blend. 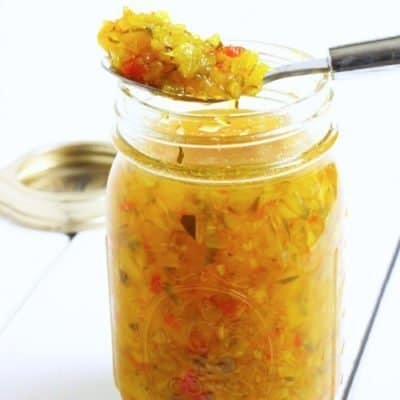 There’s lots of spice and so many flavors going on, you’re gonna make a double batch and freeze some for next week or next month. 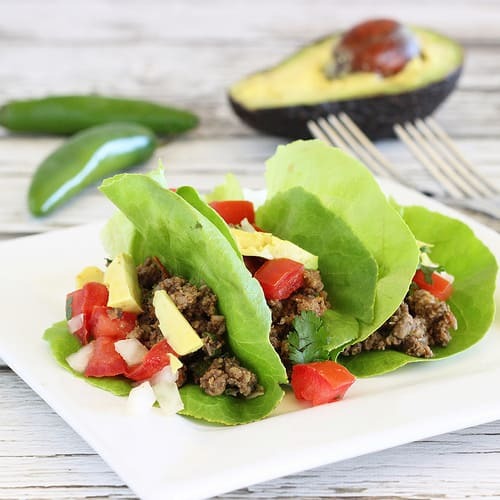 The ground beef and mushrooms mixture can absolutely be served in a regular old flour or corn tortilla, but if you want to ditch the carbs and savor lots of lean protein and vegetables, go for the butter lettuce shell instead. It’s so cool, and crunchy, and really lightens up Taco Tuesday. Heat a nonstick skillet over medium-high heat and add the ground beef. Break up the meat into small pieces and let it brown. 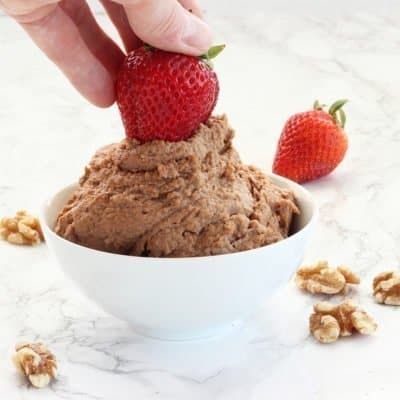 While the meat is browning, place the mushrooms, onion, jalapeno pepper and garlic cloves into the bowl of a food processor, and pulse until the mixture is minced. Add the minced vegetables to the meat, and continue to cook for about 5 more minutes, stirring to incorporate the meat and vegetables. Add the chili powder, cumin, salt and pepper and stir to combine. Add the tomatoes, and reduce the heat to medium-low. Let the liquid cook off for about 5 minutes. Turn off the heat, and add the scallions and cilantro. Stir to combine. Spoon the taco mixture into lettuce leaves or tortillas. Top with pico de gallo and sliced avocado if desired. Have you tried blending ground beef and mushrooms? Do you notice a difference in taste and texture between grass-fed and conventional beef? I love lettuce wraps! And I absolutely love the blend-and-extend method by cutting the beef portions with hearty mushrooms. It works SO well. I totally agree Dana! The meat/mushroom blend is such a genius idea! Thanks so much for stopping by!